Here are the best stores for clothing, supplies, and one-stop shopping to knock out your back-to-school prep faster. July is here, which means school will be starting up again soon. In an effort to make the typically arduous task of back-to-school shopping easier, we've figured out the best stores for supplies, clothing, and overall one-stop shopping to wrap up your back-to-school prep faster. Plus, we give you tips on what stores to avoid so you don't overpay. If you're just looking for school supplies, Target overwhelmingly wins out over its usual competitors in every grade level — you can save at least $16 over Walmart and Amazon on average. Those savings are even bigger when it comes to office supply stores. Checking off your supply lists at Target will save you an average of $24 to $32 over shopping at Office Depot/Office Max or Staples. Target overwhelmingly wins out over its usual competitors — you can save at least $16 over Walmart and Amazon on average. Runner-up: Walmart is the next best place for supplies, but be prepared to spend $75 on average for one grade's worth of necessities for the school year. If you've promised the kids new outfits and backpacks this year, Walmart is your best bet. Several apparel items will start under $10, including some uniform items. And since bags are super affordable — some had a price tag of only $2.50 — the average price of an outfit and backpack came to just under $20. Runner-up: Target will set you back an average of almost $16 more on an outfit and backpack combo. However, it should be noted that several supply lists this year require headphones, and Target features a handful of backpacks that include them. A combo like this doesn't come cheap, since prices run about $30. But if you spring for a headphone/backpack package, then you could save on supply shopping elsewhere. Best Store for Getting It All: It's a Tie! Walmart's advantage in clothing and Target's advantage in supplies seem to cancel each other out. Technically, Target is the winner here: One-stop shopping at Walmart comes to $94.89 on average, but it only came to $94.49 at Target — netting shoppers a savings of at least 40 cents. Also, it's worth noting that school supplies are probably more important for many families right now (clothing is more of a year-round purchase), giving Target another advantage. But overall, we're calling that a virtual draw. The deciding factor might be whichever store is most convenient for you. Amazon does have some great deals. But the primary problem with shopping there for school supplies is that sometimes you'll have to buy in bulk to get the best price. The average cost for one grade year of school supplies came to just over $76 at Amazon. Not every parent is going to want to order 25 folders when their kid only needs five. But if you can find other parents to sell the extras to, shopping at Amazon could be a worthwhile venture. For some shoppers, it'll be well worth it just to have the supplies delivered right to their door; but for others, the prices will override the convenience. The average cost for one grade year of school supplies came to just over $76 at Amazon. Runner-up: Staples and Office Depot/Office Max had the worst prices on supplies. The highest cost we noted for a year's worth of supplies at Staples was around $132. At Office Depot/Office Max, it was around $133. Additionally, when it comes to clothing shopping, JCPenney and Kohl's were two stores that'll put a bigger dent in your wallet. On average, an outfit and backpack at JCPenney came to $80. At Kohl's, you could snag clothing and a bag for around $65, but considering how affordable Walmart and Target are in comparison, that's not a huge selling point. 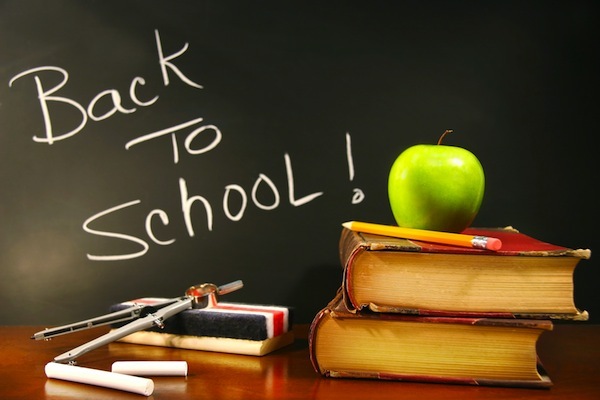 Readers, do you prefer to do your back-to-school shopping at different stores to get the best prices? Or will you shop at one store to knock it out faster? Sound off in the comments below! Disagree with "no parent is going to buy 25 when their kid only needs 5" for kid-based reasons. The kid will lose 3 of 5 in the first week. At least 2 (probably more) will be doused with random beverage. Dog/cat/ill-tempered iguana will consume 2 in mysterious circumstances (being wrapped in bacon). 2 crushed in locker. 3 dropped in unseen puddle. 1 removed by parent for some jerk writing something awful on it (jerk may be your own kid.) 1 lost to stored food in folder (gum, chocolate & Cheetos.) 1 down to Kool-Aid. 2 lost to rain, 4 to snow, 1 to sunblock. 4 if nail polish or other makeup is carried by your girl- amazing how it melts if left in sun for ONLY 8 hours. 2 broken in binder-swordfight. 1 in food fight. 1 in Old Banana Baseball. 3 to chemical incidents- set on fire, dissected frog, dropped test tube, or fingerpaint. 1 flies out of bus/car window, 2 left under wheels of friend's car. You're at 36 and counting, and it's only January. Just buy 25 now. Twice.